Josh began his real estate career in May of 2010 after serving the Charlotte Area as a Paramedic and Fire Fighter for 10 years. Josh tripled his business in his second year and doubled it the following year. 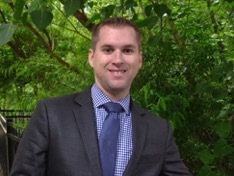 Josh quickly rose to the top 10% in the Ballantyne Area Market Center and served on the ALC for 2013 and 2014. Josh’s passion for education and technology have enabled him to embrace the models KW has and the technology it offers to further his business and empower those that attend his classes to do the same.